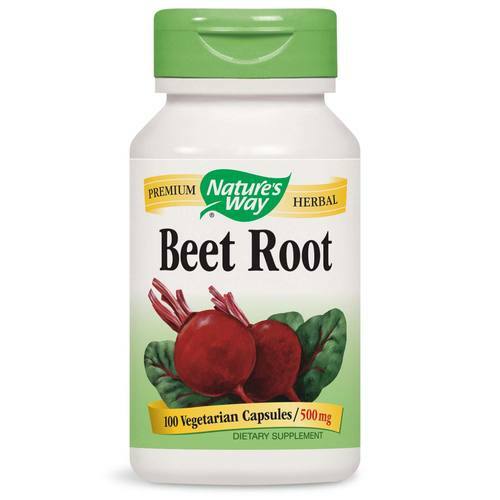 Nature's Way Beet Root is gluten free and completely vegetarian. Advertências: Keep out of reach of children. If pregnant, nursing or taking any medications, consult a healthcare professional before use. Notas: Vegetarian. Gluten free. No salt, yeast, wheat, soy, corn, dairy products, artificial colors, flavors or preservatives. 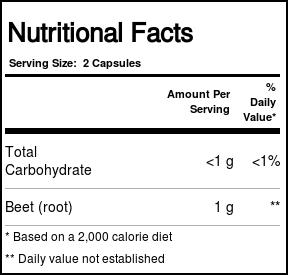 Recomendações de uso: Take 2 capsules three times daily with food.